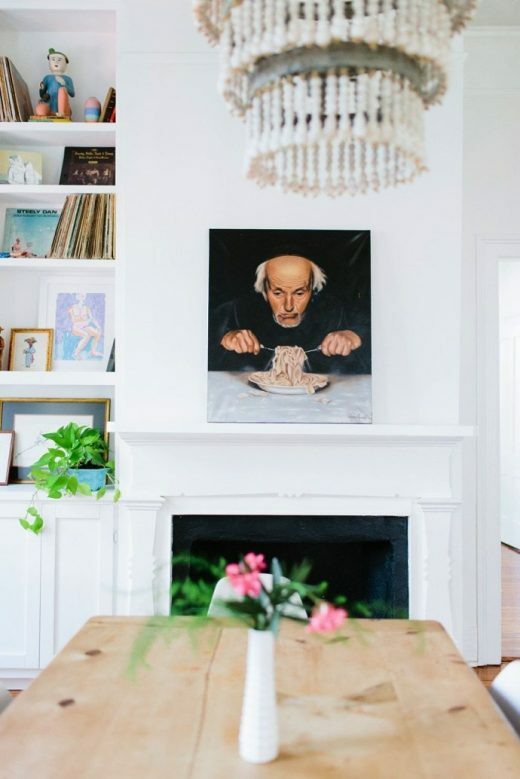 I may have just stumbled upon the mecca of home gallery wall, thanks to Glitter Guide! 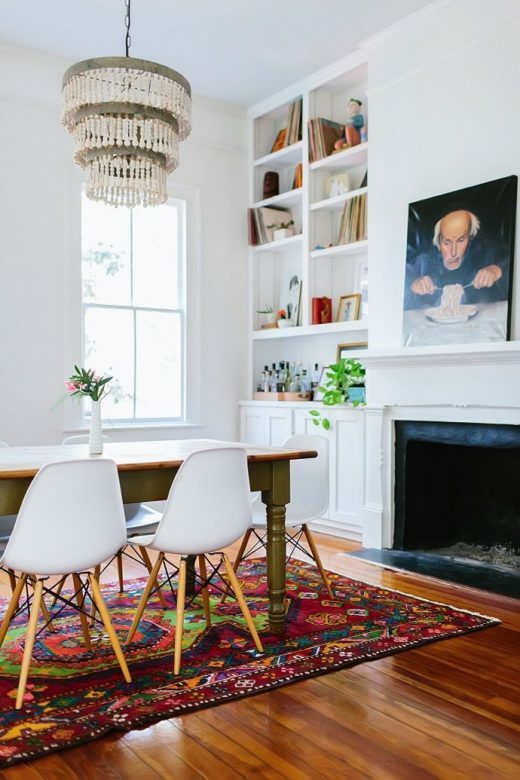 This historic South Carolina home belongs to photographer Gray Benko. 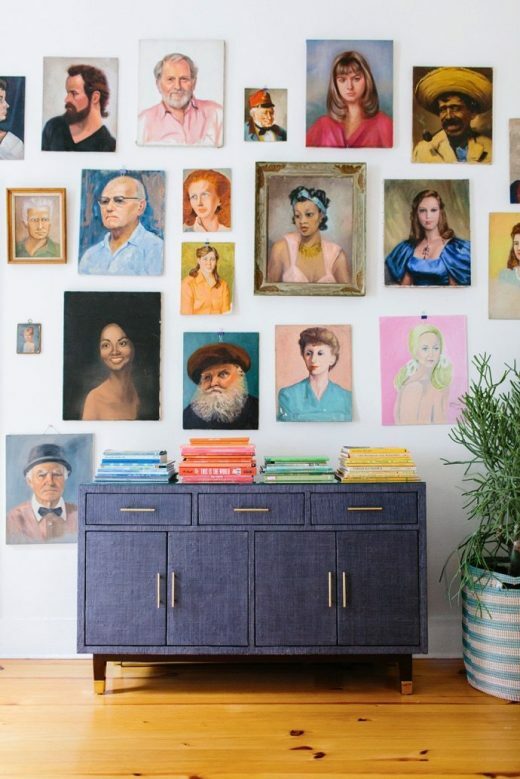 If you know me personally you know I am always on the lookout for a good painted portrait. Even better if it’s oil! 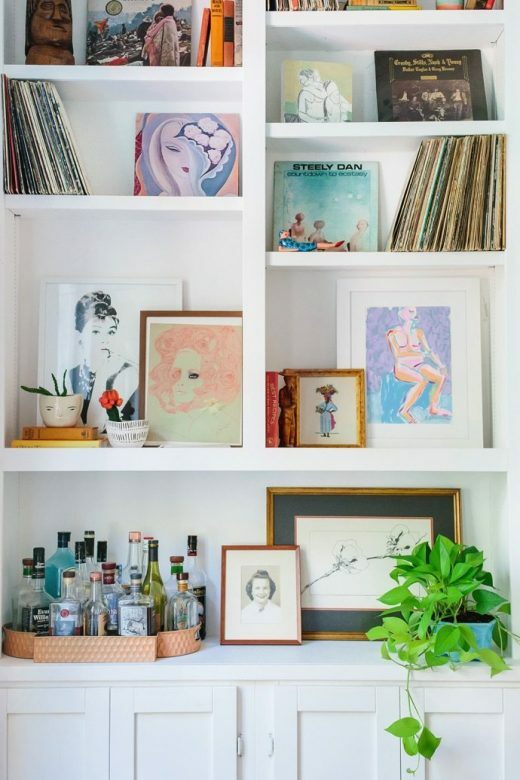 Loving the mix of art, albums, plants, and bottles that this shelving built in is adorned with. 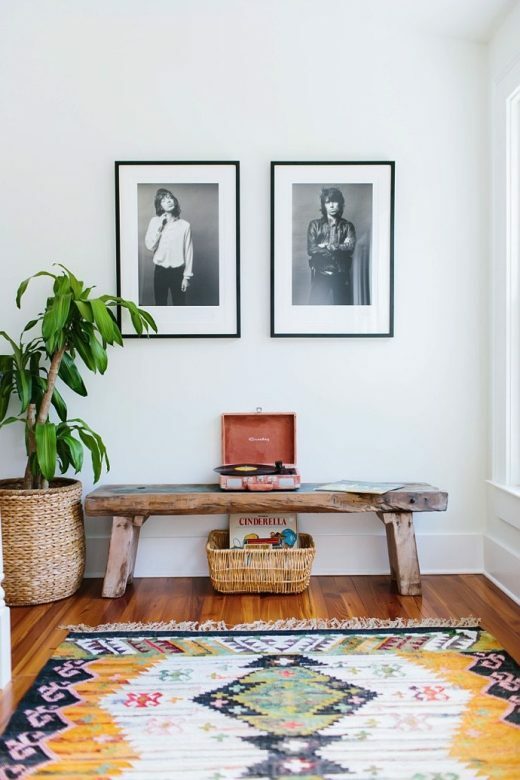 Two rock stars, a retro record player, and gorgeous rug… I’d say thats a pretty great combo. 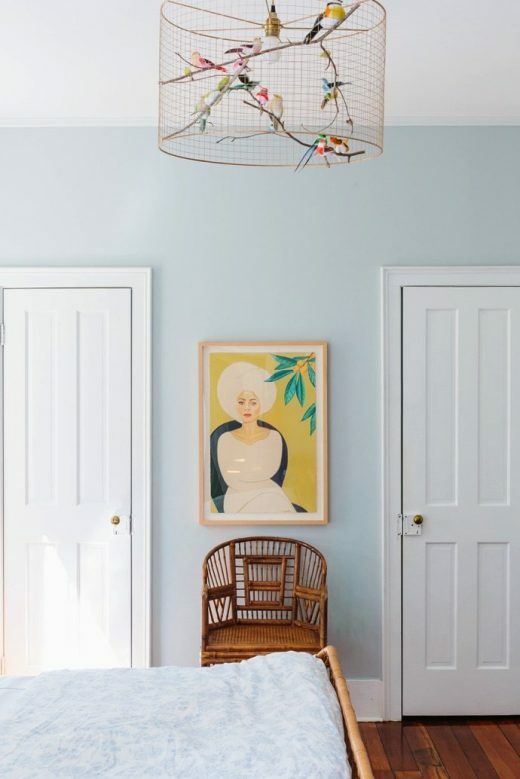 Kid’s art makes for some of the greatest decor. 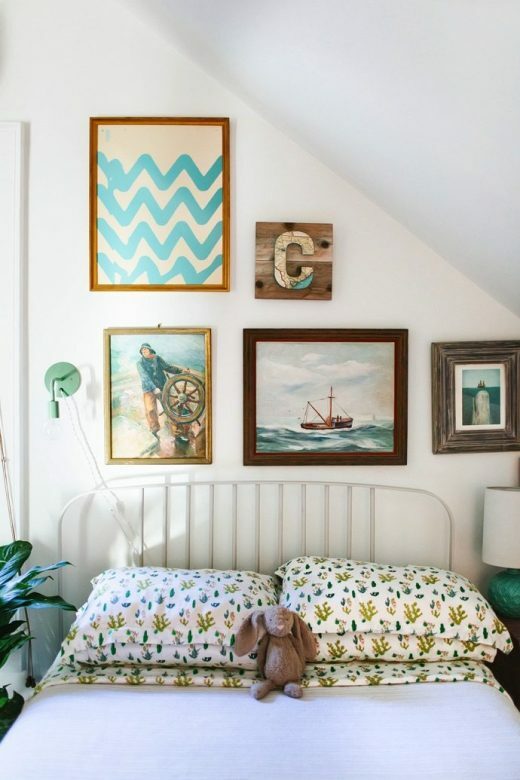 Please take a tip from Gray’s book and frame those master pieces and use them to decorate your children’s bedroom. 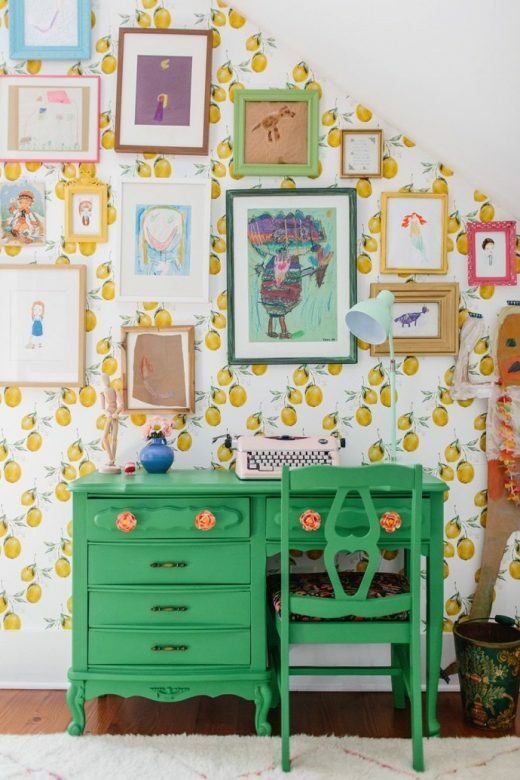 And how cute is this lemon wallpaper?! Beautiful! 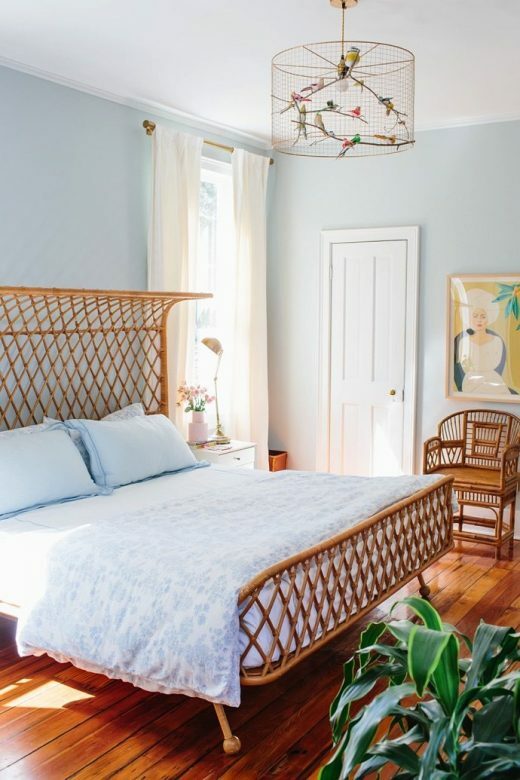 Wish I could make something like this for my bedroom, but now I don’t have the time. Gonna save this for inspiration though.